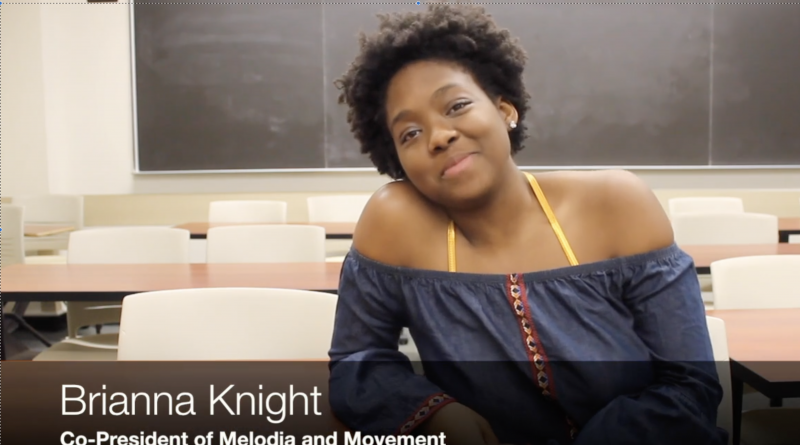 Brianna Knight, a slam poet and co-president of SUNY New Paltz’s Melodía and Movement, uses her platform to increase cultural awareness and celebrate minorities. Brianna Knight, the co-president of Melodía and Movement, calls the eight other club members to begin the meeting. The only multicultural song and dance group on SUNY New Paltz’s campus, Melodía and Movement is preparing for an event that is just 13 days away: Unidos En Armonía, or United in Harmony. “A La Nanita Nana,” by the Cheetah Girls is one of the songs they plan to perform, along with “Get Right,” by Jennifer Lopez and “Doo Wop,” by Lauryn Hill. The club welcomes any student, but looks forward to accepting those from minority groups. The organization enjoys singing in different languages, like Spanish, something that is not often openly done around campus. Knight uses the club as a platform to advocate for people of color. “Melodía and Movement is a medium for people of color to have the means to express their artistic perspectives and be in a zone where their culture is appreciated,” Knight said. Haitian, Vietnamese, Chinese, Puerto Rican, Dominican, Irish and Jamaican are only a few of the various backgrounds that members come from. Janet Turner, Knight’s co-president, focuses on teaching the group dance moves and styles. “I like to incorporate the Latin dance styles I learned as a child at home,” she said. 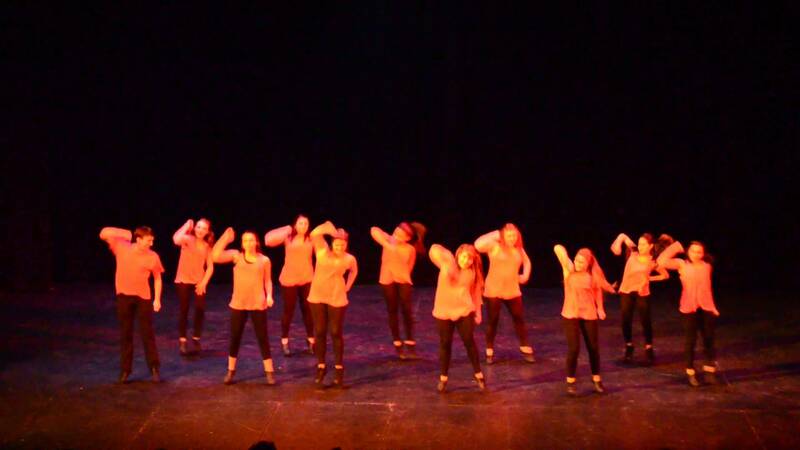 Bachata is one dance style that they incorporate often. Bachata dance originated from the Dominican Republic and is now performed all over the world. On top of this, she likes to incorporate Salsa and Merengue. This semester, Melodía and Movement began doing programs on campus for other students. This included singing telegrams for Valentine’s Day where members of the club delivered messages through song. They sang to recipients all across campus. They also hosted a Bachata Night in the dorm Crispell, to teach students Bachata dance styles while giving them a taste of Latin culture through their homemade empanadas. They meet every Monday and Thursday from 7 to 9 p.m. in the Humanities building on campus. The week leading up to Unidos En Armonía they made sure to be there every single day to perfect their performance. Melodía and Movement is not the only instance Knight showed such amazing leadership skills. Last summer, she was an Orientation Leader, a position that required her to show incoming freshman and transfer students around the SUNY New Paltz campus while sharing necessary knowledge with them. Knight walked into Hasbrouck Dining hall last year when she was bombarded with fliers. She has been singing ever since she was 7-years-old and she knew since then that she wanted to continue her passion. When Melodía and Movement came to her attention, she thought “Wow, culture!” It was the perfect medium to perform while also exploring and sharing culture. She auditioned and immediately joined. While Knight acknowledges that SUNY New Paltz strives to have a diverse student body, she points out that it lacks inclusion and cultural awareness. Everyone is in separate groups doing their own thing. “It is segregated in its own way,” Knight explained. Beyond that, Knight herself is an open book for any questions someone might have. Through her own song and casual conversation, she continues to advocate for people of color like herself. In her Sociological and Philosophical Foundations of Education class, Knight had an encounter where she realized people of color are not always in a true “safe space.” A safe space to Knight means a zone that is judgement free and everyone offers an open mind with the comfort of knowing it is a confidential conversation. A student made a comment suggesting that everyone is put in jail for a good reason. Knight felt all eyes go on her and the other two people of color in her classroom. Automatically, she shut down. The classroom that felt like a “safe space” was no longer one. Thankfully, the professor interrupted the feeling of discomfort floating in the classroom for those three students and explained that it was something that should be researched outside of class. Knight felt thankful that the professor took the weight off of her shoulders when he explained how the other student was wrong. Knight is a second-year student studying early childhood education. Not only does she love children and talking to people, but her experience in her Sociological and Philosophical Foundations of Education class is just another reason why she wants to teach. “You need some type of representation so that students have somebody to look up to and actually talk to and they understand where they are coming from,” she said. The first time Knight fell in love was with her niece Makayla. When Knight was around 7-years-old she had an experience that scarred her. She picked up a 2-year-old and when she attempted to put her down on the bed the young child fell. Knight felt traumatized and promised not to hold a child ever again, only hug. Her sister told her that she would have to hold her niece. When she finally held Makayla, she realized she would cherish her forever. Knight refers to her as her saving grace. She wants Makayla to run to her and tell her all of her secrets. Knight is from Spring Valley, New York, a middle-class suburb about an hour from Manhattan. Her father was a mailman but he studied at night with computer gurus to learn about technology. He ended up becoming certified in a large array of computer-based topics. Eventually, he became the head computer manager for a local bank with several certifications and no degree. 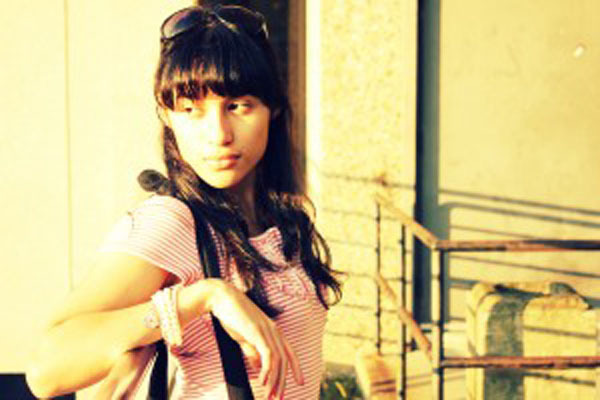 Her mom wanted to be a social worker but raised her family instead. She has an older brother, Michael Knight, as well as an older sister, Tiffany Terrell, making her the baby of the family. The teaching staff at her high school lacked diversity. Her family had some money which led to her classmates and teachers giving her family a fake pedestal. Knight did not appreciate it. While on the other hand, students were treated differently when they were not in Advanced Placement level classes. The school district did not want these students representing the high school as a whole. This is exactly what Knight hopes to change. There are frames that are built around students in the advanced classes, which leads to them already having their paths paved out for them. If you were from a successful family then it would be ensured your academic success would be of the most importance. It was common for students to fall through the cracks at Knight’s high school. Knight acknowledges that some teachers ask students to complete an online assignment yet some students in the class have to walk 30 minutes just to access a computer. Knight wants equal opportunity for her future students. Knight would be empathizing with her potential students. But, she wishes empathy was less of a skill. Knight recently returned from the College Union Poetry Slam Invitational (CUPSI) held by the Association of College Unions International (ACUI) at Temple University in Philadelphia, Pennsylvania. As she was preparing for the event, she faced another problem with the education system: What should we value more, real life experiences or sitting in a classroom listening to a lecture? Both are fairly important — especially to Knight. She realized a presentation fell on the first day of CUPSI. At this point in time she was thrilled about the event, especially to market herself as not only a poet, but a future educator. She asked her professor if she could reschedule. Of course, it was not so easy. She reminded herself that she is a 20-year-old woman who has wanted to attend this event for years now. Choosing CUPSI over her presentation was something that Knight felt like she needed to do in the bottom of her heart. She knew the presentation might not work out but she was okay with it. CUPSI would be just as much of a learning experience as her class would have been. Her professor luckily let her present at a later date. Her poetry is another major platform where she discusses not only how marginalized people of color are but also ideas on being a female, love, self-love, heartache, human limits and much more. One poem she wrote is “BBB (Broken Black Boy Syndrome),” which discusses how it’s common for black men to put on masks and pretend that they don’t struggle. It analyzes the idea that it seems as if emotions are only for white people. Knight persists in her poetry by writing at least twice a week. Knight does understand that problems happen sometimes and will most likely happen in the future too. Because of this, she works hard to take care of herself and her relationships as much as possible. Today Knight is working on her poetry book “Ladybug,” which was named after the insect because after her first breakup her room became infested with them. She continues to find them while walking around. “They’re good luck, so the book explains how I’m good luck for everyone else,” Knight said. She is utilizing her networking skills more than ever, especially at the recently passed CUPSI event. It is a time in her life where everything feels as if it is aligning.